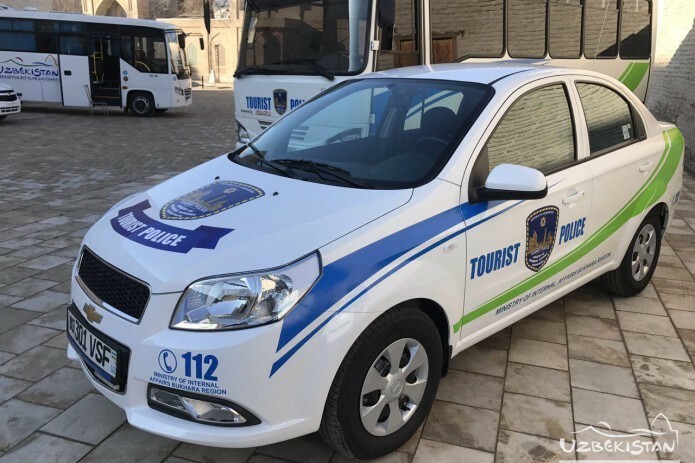 Tourist police starts operating in Uzbekistan. In the framework of the Safe Tourism Implementation Concept, the Department for Safe Tourism was launched in Bukhara, Samarkand, Khorezm and Kashkadarya regions. Currently, Bukhara region department management staff consists of 45 people. there are cars and buses with special insignia in their disposal. Vehicles are equipped with a video surveillance system, which allows you to analyze the situation and promptly take appropriate measures to ensure the safety of tourists. Employees speak foreign languages, know the basics of etiquette, have cards, personal tablet computers, which allow using electronic translators and databases of electronic information systems. The main objectives of the management are to ensure the safety of tourists, timely informing about possible threats, as well as assistance in protecting their rights and legitimate interests.